Living in the South, we see people using mason jars, decorating with them, or creating them into something unique that you wouldn’t have thought of. If you even wanted, you could make gifts, bake a dessert in it, or make a salad to- go in the jar! I love mason jars because they are so simple and has an earthy feel about them. When I craft with mason jars, I feel like it turns out with a southern charm. Ever thought about using mason jars, but didn’t know what to do with them? Here are 6 easy mason jar crafts that will lead you to more ideas and inspiration. If you click on the link provided for each craft, it will take you to the original blog with full mason jar craft instructions. Having a girl’s slumber party and don’t know what to bring? Making a Spa in a Jar is perfect! 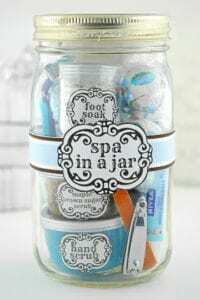 You can pack all the foot essentials, nail care, and polish right into the jar and have your own spa day from the comfort of your own home. These are perfect gifts for slumber parties or for people who love relaxing and soaking their feet. Making your own mason jar candle is just so easy and putting it into a mason jar is just so cute! I love these mason jar candles as gifts! We all see flowers pieces in mason jars at weddings and Pinterest ALL the time. How cute are these those?! 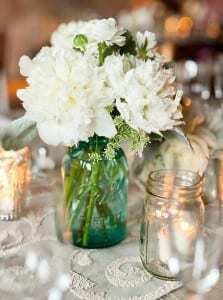 I love how simple and elegant these flowers are in the mason jars. I’m sure if you arrange some flowers into a mason jar and placed them in your home it’ll be a fabulous centerpiece to your table! If you are visiting someone and want to bring flowers, why not put them in a mason jar and give it to them instead of giving them the flowers already in the bag that you bought it in. I would’ve never thought about using a mason jar as a coffee or sugar container. It makes leaving these items out on your counter just a little more bearable and cuter to leave out. It’s such a simple mason jar idea that you have to do it! A plus is you’ll have the mason jar measurements on the side of the jar! My favorite mason jar craft (I’m sure you’ll kids will absolutely LOVE these!!) are glow- in- the- dark mason jars. It’s such an easy and cute jar that you’ll kids have fun making. 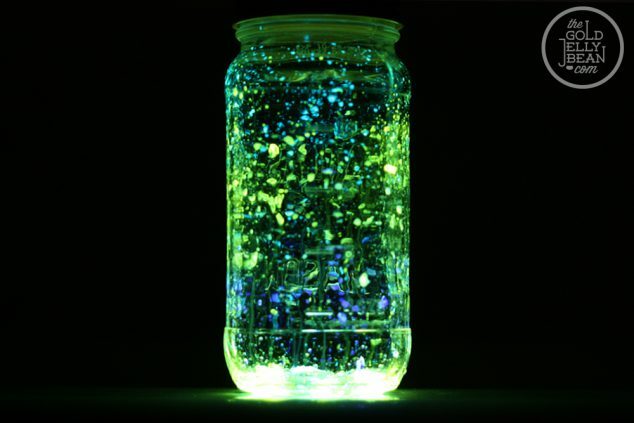 You just need to have glow- in- the- dark paint and dot them onto the jars and leave them outside for a whole day )day and night). 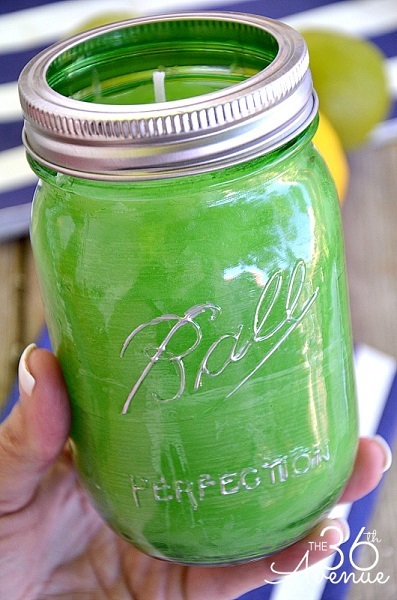 These glow- in- the-dark mason jars can be used for so many different things! They could be used for nightlights (you would be saving on electricity here! ), store cotton balls and other bathroom essentials and find them easily in the dark, or using them as decorative light centerpieces for a dinner get together outside. 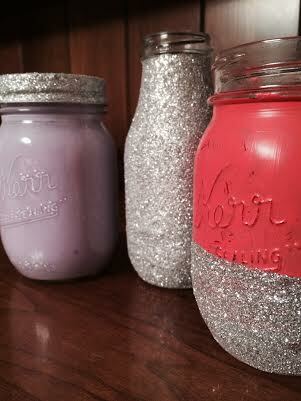 You can also paint and or adhere glitter to mason jars for a cute decor piece. This glitter mason jar craft is easy to do and is great for holding anything from flowers to pens. Another fun mason jar craft is making decorative mason jar toppers. You might enjoy making toy top jars for your kids. With so many uses for mason jars and their cute outcome, have you made easy mason jar crafts before? If you have, please share your ideas! I always love to hear from you and see what crafty ideas you have! I love mason jars and have tons of them for storing things in my pantry, but the glow in the dark is a winner! I think the glow in the dark ones are really neat! Using them as storage is even better now! I love Mason jars.We use them for just about everything. What great ideas! I have a case of Mason Jars just sitting around, so I just might give a few of them a try. Thank you! I’m sure you will love working with some mason jars to change up some things. Let me know how these ideas work out for you!